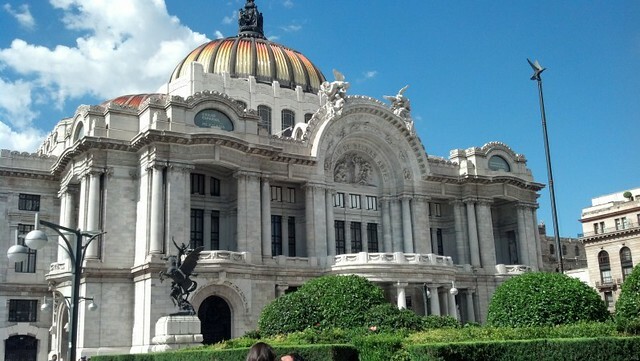 Yesterday I left Querétaro and I returned to Mexico City. Blue Bicycle House was wonderful and I would definitely recommend it to anyone traveling there. I awoke at 8am to the smell of coffee and birds chirping. Central Mexico is MUCH colder than I expected. I quickly ran downstairs to change into pants and a tank with a shawl. I enjoyed breakfast at the hostel and said my goodbyes to the staff. The woman at the desk is attending the University in Querétaro, so that she can work in the tourism industry. She would like to work on a cruise ship one day. 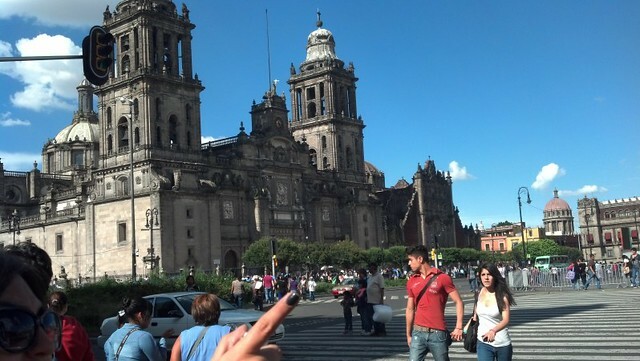 I took a taxi to the bus station where I bought a ticket to Mexico City. It is ESSENTIAL that you decide on a price before jumping into a taxi. My ride was 50 pesos or less than 4 USD. The Primera Plus bus to Mexico City cost 25USD, but it was VERY nice. It was similar to a coach bus in the United States and includes a meal. I had a sandwich, juice, and a granola bar. Even the ham and cheese sandwich was spicy in Mexico. The mayo was mixed with a spicy chili. I really enjoyed my trip to the city. 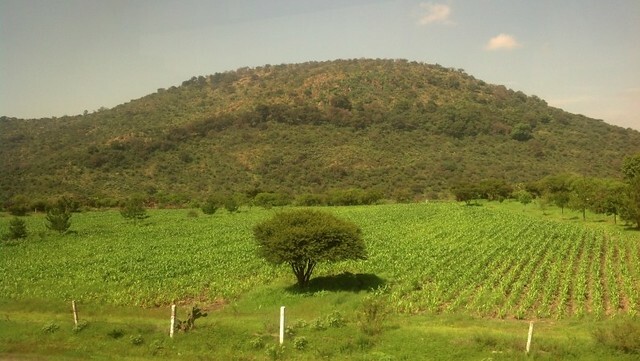 The coutryside of Mexico is absolutely beautiful! I saw many farms and COWS. 😀 My favorite! The bus had Wifi, so I was able to chat with Mom and Dad and they also premiered Buscando a Nemo on the television. 🙂 I arrived in Mexico City and purchased a taxi ticket to my hostel. The ticket price is based on your final destination. This ensures that you do not pay more than what is necessary for your trip. My ticket was 12USD. My taxista was very friendly. He only spoke Spanish, but I found out he had three sons. Two of them were in the University of Mexico City and they all LOVE to play american football. 😀 I told him all about the Packers and the crazy cheesehead fans. He thought it was great. I arrived at Hostel 333. I will be honest. It was dreadful. Within one hour I had searched and found another hostel called Hostel Home. It is very nice here. They do not allow drugs or smoking. They also only allow beers and wine with dinner. It is much more quiet and a better environment for studying. I will post pictures later. 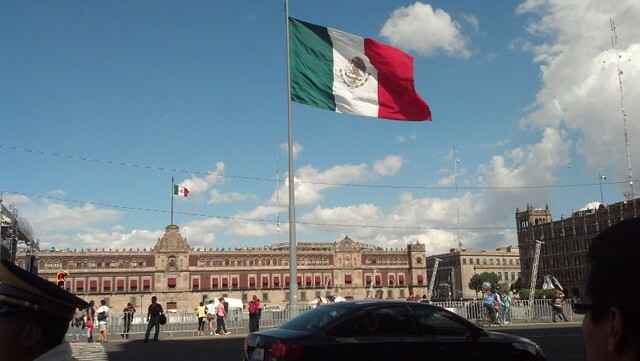 After checking in, I went on a walk to Zocalo or the main plaza in Mexico City. The city is GIGANTIC. I felt literally swallowed by the buildings and the people. I really am 1 in 22 MILLION people here. I took a few shots of the city during my walk. From my walk I noticed that there are people from all over the world here. It is a very international city. The majority of people dress very posh and trendy. There are also many artists and musicians here. 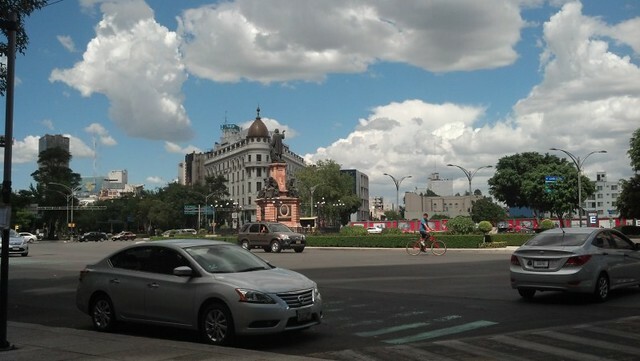 You will find sculptures and statues in many of the streets and park. There are many designer shops, but there are also street vendors EVERYWHERE. The smell of corn tortillas, roasting meat, and corn makes you drool as you walk by. I also found this city to be very dog friendly. Everyone has pets and most dogs are NOT on a leash. They simply follow their owners. A lot of dogs are also dressed up in cute outfits with sparkly collars. Very cute! Hey you, it’s mom.The pictures look great glad your seeing the sites. Start school tomorrow.